The latest protocols to protect Credit Card Data. Are you concerned about your credit card data, account integrity or electronic personal profile? You should be! All you have to do is watch the News or pick up the newspaper to find out about the latest data breach of stolen credit card numbers that have been hacked. Surprisingly, many big name department stores, restaurants and financial institutions have been a victim–despite multifaceted security systems and many highly qualified security professionals attempting to thwart the “bad guys”. Using cash as a primary method of payment is becoming increasingly less prevalent, hence the use of electronic payment systems which frequently store or log these vital credit card numbers and account numbers on items such as data tapes, hard drives, solid state hard drives, optical media etc. In order to address the growing security concerns in the payment card industry, new security protocols have been implemented. For a complete copy of the standards Click Here. Security Engineered Machinery (SEM) has the solutions! Fortunately, you have come to the right place if you are looking for help meeting your end of information life cycle PCI DSS Standards. SEM features a solution to destroy any form of media or information holding device and even features products from the NSA EPL with no data recovery possible. Utilizing the SEM product lineup underneath can help mitigate your PCI DSS risks. 2) High Volume Central Cross Cut Paper Shredders – Central Systems. 3) NSA Evaluated Optical Media Shredders – Designed for Optical Disks only. 4) Solid State Device Destroyers – designed to effectively destroy data on Solid State media. 5) Security Containers – Available with optional Hard Drive Feed Slots . One of the most effective ways to sanitize magnetic media is degaussing. Recently, SEM has introduced a new NSA Listed Degausser the SEM Model EMP1000-HS. This new Degausser features commanding electromagnetic erasure field strength of 20,000 Gauss and features a SMART Logic Diagnostic System for fool proof operation. Many of our clients require degaussing of media paired with one of our hard drive destruction devices such as our Jackhammer Hard Drive Shredders—See #8 Above. 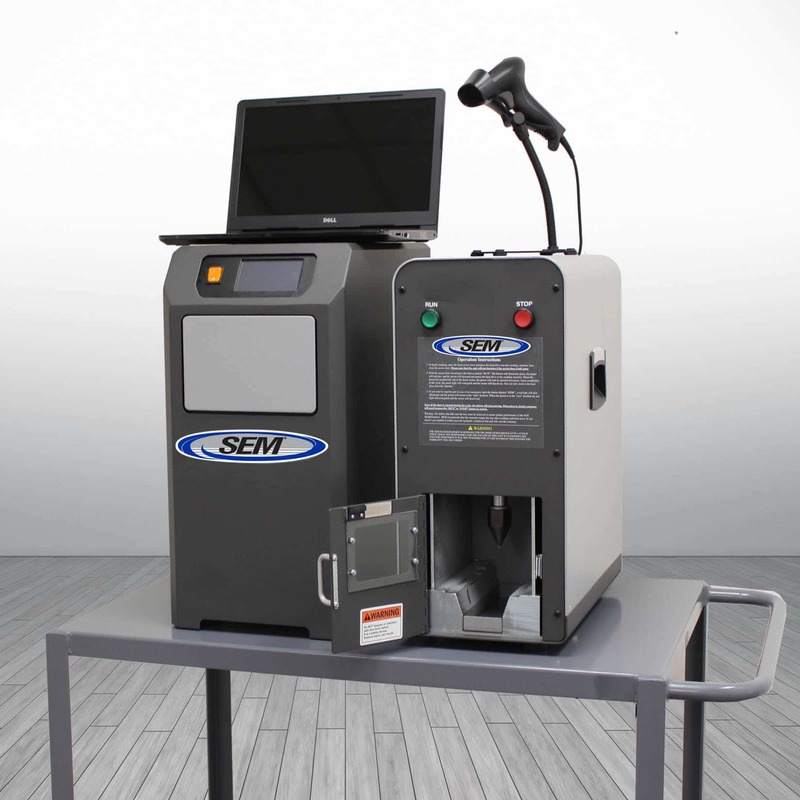 The most popular SEM offering for Credit Card Processing centers is an SEM Disintegrator . These destruction systems with their roots in the “plastic industry” can shred/disintegrate large volumes of credit cards down to very small particle sizes in a matter of minutes. They are used by the highest security agencies within the Federal Government for the destruction of classified data and are ideal for the same level of destruction for credit cards. Need help – Contact the experts!